The very first egg to come from the new flock, let's hope the rest of the birds start laying soon, they don't make much of a meal on their own! 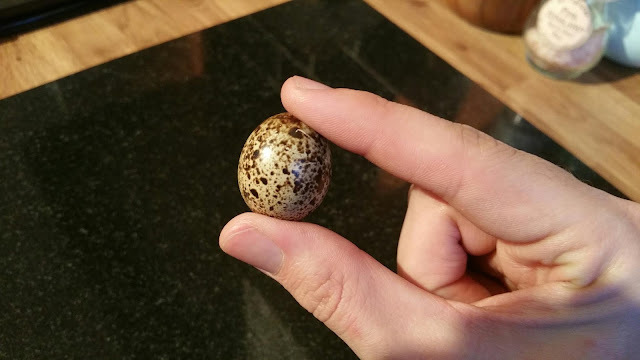 I've never tried quail eggs. Is it true they have a slight licorice taste? They sure are pretty! I remember frying my first quails egg, looked like haribo! It'll taste all the sweeter as you looked after the animal yourself!